With just one week to go before the release of Kanye West’s sixth solo album, Yeezus, much remains unknown. Although the album’s minimalistic artwork was confirmed as real, it’s still unclear what’s on the flip side of the blank CD, or the significance of the red tape. There’s no sign of a tracklist, no plans for a single, and Kanye’s Twitter feed has been limited to promoting the fourth straight week of “New Slaves” projections. At it stands now, it’s unlikely little more will revealed prior to the album’s release on June 18th. In anticipation, we’ve culled together the little information that is known. Scroll through the following page to learn more about the music, the collaborators, the artwork, and the promotion behind music’s most anticipated album. 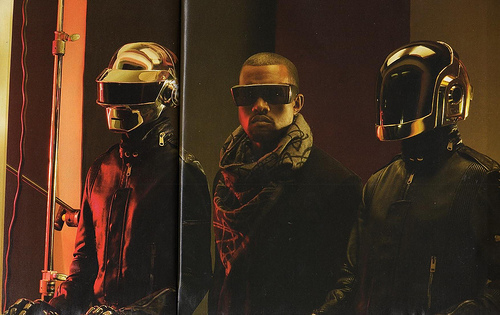 Update: Soon after we published our guide, Kanye held a listening party for Yeezus in New York, in which he confirmed collaborations with Daft Punk, Chief Keef and Justin Vernon, Hudson Mohawke, and Rick Rubin. For a full recap, click here. Prior to Monday night’s listening party, Kanye West had debuted five new songs live, specifically “New Slaves” (featuring Frank Ocean), “Black Skinhead” (which samples Marilyn Manson and was composed by Daft Punk), “I Am A God”, “On Sight’, and “Send It Up”. A sample of another song labeled as “Bound” is currently streaming on Kanye’s website. A seventh song, possibly titled “Could’ve Been Somebody” and sampling TNGHT’s “R U Ready”, was premiered by Hudson Mohawke during a DJ set at Parklife Festival over the weekend. At the listening party, Kanye played a track featuring Chief Keef and Justin Vernon (Cant Handle My Liquor), and another with Kid Cudi. One track reportedly sampled Billie Holidays Strange Fruit flipped with TNGHTs Higher Ground. Other lyric content seems to delve into modern-day racism (“New Slaves”) and the mainstream media’s portrayal of him (“Black Skinhead”). With no tracklist, it remains unclear who will be appearing on the album. We know Daft Punk contributed to three or four songs (they’re listed as co-composers of “Black Skinhead”), Frank Ocean sings on “New Slaves”, Chief Keef and Justin Vernon appear together on Cant Handle My Liquor, and King Louie is featured on “Send It Up”. 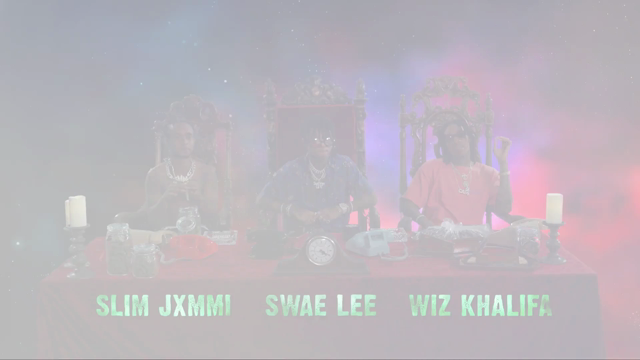 Other possible collaborators include Jay-Z, James Blake, Pusha T, Skrillex, Azealia Banks, and Odd Future. According to The New York Post, legendary producer Rick Rubin is assisting Kanye with last minute touches. 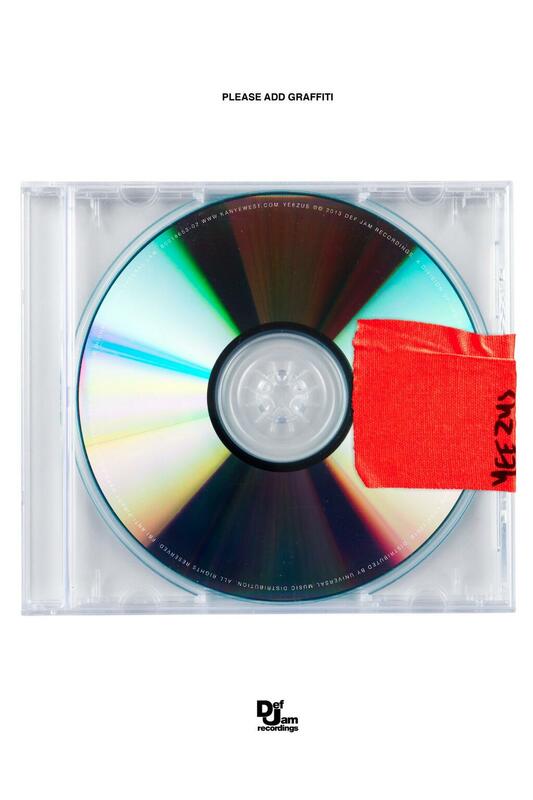 The artwork for Yeezus has gone through several iterations. What originally appeared to feature a disfigured gold statue has since evolved into a blank CD with a single piece of red tape. 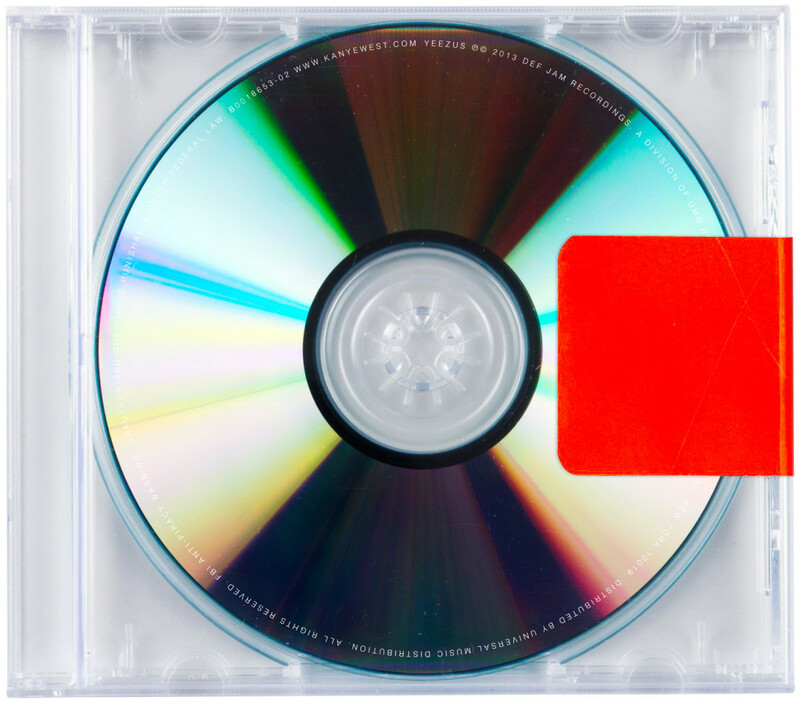 Designed by Kanye’s creative agency, DONDA, the cover features no cover, booklet, just a sticker on the reverse of the package with the track list, according to DJ Semtex, who first unveiled the minimalist piece. During his performance at Governors Ball, Kanye confirmed that the album would have no artwork. Upon unveiling the artwork, Kanye called on his fans to “Please Add Graffiti”. Earlier today, Def Jam began advertising the album’s release with posters in several U.S. cities, which again included the ”Please Add Graffiti” call to action. A Tumblr page dedicated to fan-created pieces has been launched. It’s unclear why Kanye chose such minimalistic artwork following the grandiose designs featured on My Beautiful Dark Twisted Fantasy and Watch the Throne. However, some fans have theorized that having no artwork, as well as no pre-order, limits the likelihood of an early leak. The album remains in the hands of Kanye and his label until the last possible moment. Then again, Kanye could also just be disinterested in the entire album release cycle and want fans focused solely on the music If you recall, Daft Punk had similar rational for why they have no plans to tour behind Random Access Memories. 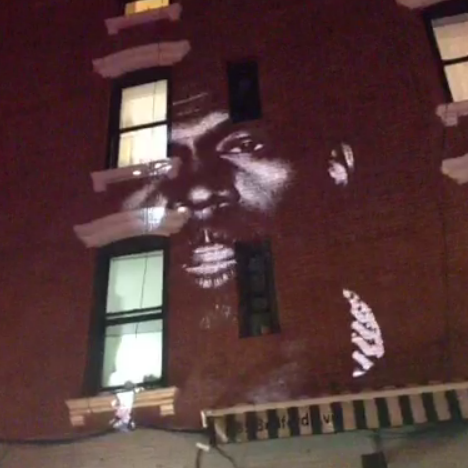 Aside from a string of New York City-based concerts and a critically acclaimed performance on Saturday Night Live, Kanye’s promotion for Yeezus has been limited to weekly projections of “New Slaves” on buildings across the world. Though an ambitious, DIY project reportedly executed solely by Kanye and his team, the campaign has lost its luster after three straight weeks. And with no single, no music video, no interviews, or any additional appearances scheduled, one has to wonder what sort of buzz Yeezus has beyond diehard fans and critics. Can such a promotion, or lack there of, warrant Kanye’s fifth straight No. 1 album? Can it stave off competition from major hip-hop albums being released on June 18th from J. Cole and Mac Miller on June 18th, both of which have received substantial promotion and are loaded with high-profile guests. That said, there are reports of an American Psycho-inspired music video starring Kanye’s Kardashian brethren, Scott Disick and Jonathan Cheban. So, surely Kanye still has a few more tricks up his sleeve. Update: Monday night’s listening party was one of them.